To emerge as a premier institution for technical education in the country through academic excellence and to be recognized as a Center for Excellence in Research & Development. To establish a strong institution by consistently maintaining state of the art infrastructure & a cohesive world class team by providing need based technical education. 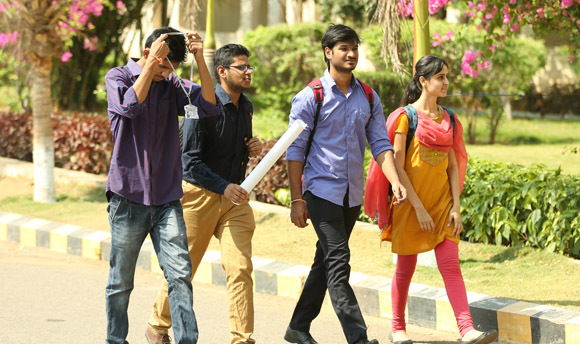 Conceptual teaching along with Research and Development makes the Institute unique and provides an opportunity to produce competent and employable engineers with a broader outlook. We aspire to continuously improve our performance through systematic monitoring and upgrading all aspects of student-centric Teaching – Learning process in the education . VBIT boasts about its state-of-the-art-laboratories in each department that provides hands on approach to the students in practical knowledge in their subjects . The college is committed to giving students the practical experience they need to succeed. Hostel is available in the campus, with all the facilities. VBIT has dedicated Internet of bandwidth of 100 Mbps, connected throughout the Campus with 800 systems. Students and faculties are free to access internet after the regular working hours. The IEEE (Institute of Electrical and Electronics Engineers, Inc.,), a non-profit organization, is the world’s leading professional association for the advancement of technology.Members rely on the IEEE as a source of technical and professional information, resources and services. “Outstanding” is what our students rate our efforts in nurturing versatile leadership. In VBIT, our faculty members go beyond teaching, they redefine excellence. 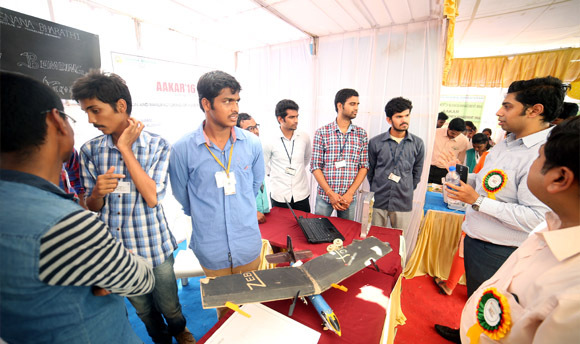 Founded in 2004 by highly qualified people, Vignana Bharathi Institute of Technology emerged as a hub for engineering excellence. The sprawling 10.2 acre campus has state-of-the-art teaching facilities to train students in emerging technologies. The Training and Placement Cell is one of the important functions of the institute. Both the functions of the Cell are given appropriate weight age to achieve and results of preparing the students to the status of Industry/Market ready, so that the student can be used by the industry directly without any finishing school . VBIT Career Guidance Cell is intended primarily to assist students in their career planning and provides information that helps the students to give a direction to their aspirations and interests.The CGPU believes in timely counseling and arrange training sessions that enhances the students to compete with the best challenges in Industry. V.B.I.T ensures atleast one opportunity to every student in a given academic semester. In this regard the V.B.I.T takes a role model and therefore there is a separate Student Activity Centre at V.B.I.T and handled by the students and it has its own credentials although.